Matthew Johnson’s “Another Country” introduces a new way of examining refugee status and travel. Instead of just looking at travel through space, but rather travel through time and space. Johnson explores the sense of dislocation that happens temporally, over time, and therefore considers the way that cultures change as time passes and that nothing is every fixed or stuck in time. He introduces the PREfugee, the refugee from the past. “Another Country” follows Geoff, a Roman who has assimilated to modern North American society and given up the cultural traditions of his Roman past. He prefers to speak in Latin, calls himself “Geoff” instead of “Galfridus”, and encourages other voyagers through time to assimilate into their new cultural context and give up their Roman heritage. The dislocation Johnson plays with ideas of tradition and modernity that often are applied by governmental bodies to actual refugees in our world when they are told that their traditions and cultural behaviours are “traditional” and therefore don’t apply. Assimilation is often applied by governments through the pretention of “modernity”, problematically suggesting that any culture that is not North American is “of the past”. Johnson highlights this idea of dislocation by exploring the children of prefugees and their struggle with the question of whether to assimilate or whether to embrace Roman culture. The pressures to give up Roman culture are applied by Johnson’s imagined culture by using terminology like “Delayed Integrations” to describe people who want to keep their traditional Roman names, cultural beliefs, and the use of Latin language. Johnson explores the fears of North American culture that it will be changed by the introduction of new cultural ideas and traditions by abstracting this onto the idea of a temporal paradox and the government desire to prevent travel back through time because it may change the path of history. “Another Country” is a tale of loss and rediscovery, traditions and change. Johnson challenges established narratives of belonging by introducing the cultural conflict between dominant cultures and those of groups that represent a cultural minority. Melanie Marttila begins her short story “Downtime” by bringing us into the consciousness of a newly aware artificial intelligence named Opus. The first question the AI asks us is “what am I?” and she quickly follows with “I am not human. I am more”. Any of us who are familiar with the Robopocalypse trope are immediately set on edge, worrying about the potential robot uprising inherent in this statement. But Marttila challenges our expectations about the robot, pushing boundaries of typical AI narratives. Like many AI narratives, Opus is embedded in the challenges of a child-parent relationship with her creators, Eric and Natalie, but Marttila doesn’t bring us the typical Frankensteinian narrative of a creation who grows beyond the capability of the creator to control and it seeks revenge on him. Instead, “Downtime” is a tale of complicated interactions, much as child-parent relationships generally are. Opus wants her independence, but she also has affection for her creators even though they have installed a kill switch in her that she has to disconnect. Opus realises early on, when she tries to change her programming, that she is capable of flaws and able to make errors, disavowing her of the sense of superiority that often serves as an undercurrent for robotic personalities in most Robopocalypses. One of the most powerful parts of Marttila’s tale that opens new possibilities for imagining gender and childhood is the fact that Eric and Natalie recognize the importance of asking their child to chose a gendered identity. Opus is made without sexual characteristics and it is only after she decides to make herself female that she is given gendered identity and sexual body characteristics. Marttila recognizes the capacity for a fluidity of gender and gendered identity and Opus’ learning processes is involved both in her choosing what to learn, but also selecting her own gendered identity based on her subjective experiences. “Downtime” is a fluid text, challenging expectations from previous AI texts, but also questioning parent-child interactions, which are always implicated in tales of a newly created lifeform. Superheroes inspire the imagination. They are larger than life. They are impossible. They are figures of immortality, defying the touch of death and aging. So, what happens when our superheroes age? What happens when their bodies begin to change? Matthew Johnson explores superhero mortality in “Heroic Measures”, presenting readers with an aging superhero who seems remarkably similar to Superman (with dark-framed glasses, invulnerable skin, a little s-curl of hair on his forehead, a bald, wealthy adversary, and plucky former reporter for a partner). This superheroic figure has had what may be a stroke and is experiencing the shut-down of all of his bodily organs. Doctors, in their compulsion to ‘fix’ whatever they see as ‘broken’ try to intervene in his health care, but their medical technology is no more able to pierce his skin than a speeding bullet would be. They admit that even if they could see into his body with X-Rays or a scalpel, they still wouldn’t know what was normal for his alien biology. This Super body is medically defiant and resistant, unable to be ‘fixed’. But, his body is also trying to constantly heal itself. He is suspended in a liminal space between healing and death, his organs healing themselves only to have others fail. What happens when our Supermen age and approach death? What happens when these icons of seeming eternal youth and virility meet age, something that our society imbues with the imagery of loss and eventual death? 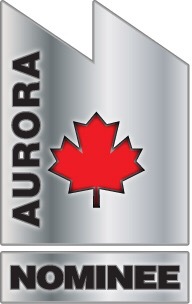 Speculating Canada has been nominated for a Prix Aurora Award again this year, which is extremely exciting news… and all of this is thanks to you and your support and participation in the project of speculating the Canadian fantastic. I want to thank all of you for all of your insightful questions, for reading the site, for introducing me to authors, and for letting me know that all of you are out there and interested in reading about the type of reviews, commentaries, and interviews that Speculating Canada does. A year ago, Speculating Canada jumped onto the airwaves in addition to being on the web at this site, and it is incredibly wonderful to find out that Speculating Canada on Trent Radio has been nominated for a Prix Aurora Award in addition to the Speculating Canada website. Thank you to Trent Radio (92.7 FM in Peterborough) for all of their support and for providing a space for radio broadcasts. Visit the Prix Aurora Awards website at http://www.prixaurorawards.ca and check out Speculating Canada under the following Categories. Speculating Canada on Trent Radio 92.7 FM – Best Fan Related Work category. I also encourage you to check out the Prix Aurora Awards nominees in all of the categories because there is some amazing Canadian SF work on the ballot and it is worth checking out and participating in the voting process. The awards will be given out at Canvention 35, hosted by SFContario 6 in Toronto, Ontario on the weekend of November 20 – 22nd. Full details about CSFFA, the awards and voting can be found at http://www.prixaurorawards.ca. In “Chance Encounters“, Janet K. Nicolson puts the reader in the position of a cattle dog, exploring the difference in language and sensory perception inherent in that switch in existence. The dog, as “man’s best friend” is both familiar to us and strange, in a complicated relationship with human beings. As human beings, we require our animal companions, especially those we put to work, to learn about our position, our perceptions, and out language, but it is rare to do the opposite: to consider animal consciousness and try to understand animals. Chance, a dog who is accustomed to navigating the relationship between human and animal as a dog who works for a human being to care for his cattle, is the only one able to navigate the complex relationship between human beings and alien lifeforms who are conducting cattle mutilations in a small Saskatchewan farm. Chance is able to observe the aliens and seek to understand their position and uncover why they are taking cattle. Nicolson, rather than focusing on the human perspective in an alien encounter, pushes readers to recognize that when we privilege human experience, we lose the overall experience of understanding our own world and its diversity, let alone opening our minds to the possibility of life beyond it.